I was born in Bristol in 1955, and grew up around good food-my father was a food importer, my mother a good home cook, and a lifetime love of good food and wine started there with the likes of Somerset farmhouse cheddar & River Wye salmon from the local village shop in Westbury-on-Trym, supplemented by annual family camping holidays around France and Italy. Whilst still at school, I entered the restaurant world as a kitchen porter and commis chef for the Beaujolais Restaurant in Bristol, moving to their new Bath restaurant in 1973 as a full time cook under chef Philippe Wall. After a stint at the Arnolfini Gallery in Bristol, the Beaujolais Restaurant in Cheltenham, and a winter in Herefordshire at Penrhos Court, I moved to London in 1976, working at Justin de Blank’s ground-breaking traiteur in Belgravia, an Aladdin’s cave of good ingredients for the young cook. Mr. de Blank also encouraged me to learn about wine, and introduced me to the wines of his good friend Aubert de Villaine, as well as sending me off to study the higher certificate WSET course. I took a keen interest in champagne at this time, forming a monthly champagne tasting group with Vanessa Lam, Scott Boden and others at J de B, where we happily tasted our way through all the grandes marques, using Roederer Cristal as a benchmark! Whilst head chef of The English House in Chelsea, [1978-1981], I became good friends with the food writer Elizabeth David, who lived nearby, and often ate at the restaurant. In 1981, with Chris Corbin & Jeremy King, I was head chef for the opening of Le Caprice. It was the move to L’ Escargot as head chef in 1982, with Nick Lander & Jancis Robinson that really gave me the opportunity to delve deep into wine territory and regular work on food & wine matching became the norm. Throughout the 1980s L’Escargot was the centre of the modern wine world in London, with tastings, wine lunches & dinners taking place almost every week. 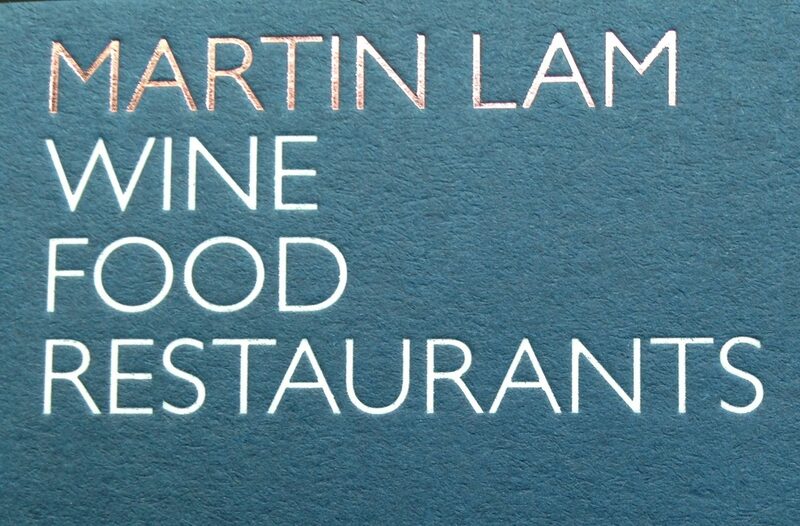 In 1992, when the opportunity arose to open a neighbourhood restaurant in Battersea with my wife Vanessa, we chose the waterside site with a view to making it a restaurant that served the best food and wine from great producers in a comfortable, affordable, no-frills way. By 2013, when we shut up shop after nearly 22 years, food provenance and seasonality had become buzz words for the modern chef- they had never been out of fashion at Ransome’s Dock. With numerous awards for food, wine & service, Ransome’s Dock was known to many as ‘the wine trade canteen’, often used for tastings and dinners by winemakers from around the world. Ransome’s Dock won the Moet & Chandon-Carlton Restaurant Awards Best Wine List award in 2000. Member of The Master Chefs of Great Britain.